While we start to talk about the top 7 list of social media services, we find plenty of social media service providers on the worldwide internet. But some are reasonable to use but some of the social sites are popular in their own country. 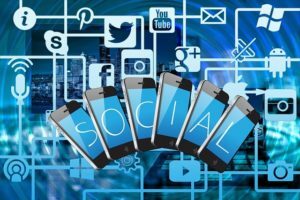 And some of the social sites are known in the worldwide network, here in this post I have Mention Top7 list of social media via an active user. According to a statistic in the top 7 list of social media, those social media platforms are listed, which has accumulated more user and visitor and engage traffic. Now social media is one the best Business promoting platform, where every business need is to promote their product and services and target audience locally or globally. Here are the top 7 list of social media and find out which will be the best platform for your business growth with targeting active user have a look. Back in 2003 was the starting period of Social Media activities and people were not Aware and active to how to connect via each other. But an idea of Harvard University, student Mark Zuckerberg to connect people in one platform make a resolution .that bring social media to accumulate user in one place. 24th February 2004, when Facebook was launched and it welcome via social sharing platform. It provides a platform were first people started with connecting each other with social sharing after people started to tell about their business. Product and service with self-promoting and now, Facebook has become a most efficient way to advertise business product and service online through Facebook advertisement. But you are trying to promote your business through Facebook your product and service should be related to the targeted group of 25 plus. because facebook is losing to attract age group of 14 to 24 plus and those user is attracting to use another social site like Instagram and Snapchat etc. Worldwide approximately 2.23 billion monthly active users are on Facebook. And more than 1 billion users are active on facebook per day via sharing their activities. January 2018 statistics show that First place of the Facebook user is from India 270 million and second place is held by the united state (U.S) 210 million active users. YouTube provides worldwide video-sharing network service, where the user shares the variety of user-generated video and corporate industry, social industries, Movie industry are engage with this platform. And user engages with watching other user-generated video content, video clip, Education tutorial, Discovery, Science and technology and etc. It is Social media video sharing platform, which accumulates 1900 million Active users and leads the second place in the top 7 list of Social Media on the world wild social networking services platform. Large and small business marketer eyes are on such video content sharing platform google provide a platform .where user can promote their product and service through Google ad. but some of the business marketers promote through targeting a particular channel to promote their product and services. YouTube was founded by pay pal employer chat Harish Steven, Chad Hurley, and Javed and launched on February 14, 2005, more than 13 years ago. And youtube was owned by Google Inc in November 2006 at $1.65 billion. The only US alone has 62% active user and 80% user are from outside other countries. Youtube is a best social networking platform, which provides a wider range of business scope to promote your brand. Mostly it is useful for every business brand, product, and services but it is the best platform for female product and services or educational services. Cause most of the active user are Females and student were they are engaged with watching fashion review, cooking, beautician and else related to the home product. And a student engages with watching an educational tutorial, tech-related tutorial, games etc. Whats app is social media messaging cross-platform, where the user registers with the mobile phone number, with two-step verification. It is known as social media services, where the user engages via sharing images, audio calling, video calling, images, GIF videos clips and other etc. It also provides a platform, where the user can share their location with others while visiting social activities, events and many more else. Whats App operating system is available in IOS and Android Window phone 8 and Window 10 mobile. What’s App is grown with providing a service in multiple countries for an effective user and was Initial release in January 2009 and founded on February 24, 2009. And situated in Mountain View California United state and was founded by Jan koum and Brian Acton and created by Whats App Inc. In February 2014 Whats app Acquired by Facebook for $19. 3 billion and the report on January 2007 active user were across to 1.5 million. And in January 2018 Whats app welcome with new feature application WhatsApp business and September 2018 WhatsApp introduce via Audio and video calling feature for a group. According to the report on February 2018, What’s App active user was across 1.5 billion users. Which is great improvement according to 2014, active user was just 450 million monthly and daily active user were 315 million. Whatsapp is grownup in a wide range on the worldwide internet and largest application is used and shared by Saudi Arabia. And it provides his services in the world across to 109 countries. According to satista, WhatsApp leads with third place in top 7 list of social media on the worldwide internet. It is a cross-platform, not a publishing platform, here you have to create your own business group and build a campaign. Whatsapp doesn’t provide any platform for ad promotion, you have to manage your own customer and encourage them to share your business profile and encourage others to join your business group. Facebook Messenger is the product of google initial release on August 2011 and it is an instant messaging and chatting platform. It provides an app based and web-based facility were user can redirect from facebook dashboard to facebook messenger dashboard. It provides an operating system web, Android, iOS, Windows, I Phones and also known for providing an instant messaging system. like to similar other social media publishing platform and also support audio and video calling with instant messaging, chatting sharing, sending audio files etc. According to Satista the Facebook messenger active user is 1300 million in July 2018 report and lead with 4th place on the worldwide internet. It is a chatting a sharing and instant messaging platform and it some features are similar to other cross platforms. Here you can create a business with creating and targeting group and invite to other join your group and share and chat about your product and services. And promote your business product and services and communicate about your business via other users. We chat is one of the most popular app-based instant messaging platforms and had a great popularity in social media networking services. we chat was Initial release on January 21, 2011, and developed by Tencent Holding limited. And it some features are similar to other cross social media platform but it is popular for his multiple features. Some of those features make it popular in China because some of the features billing payment wallet via mobile payment facilities. And these facilities are available for Chinese card holder, only for China country. It is a Chinese multimedia social media app-based services, and it provides facilities to their user to use this app. For messaging, social media, text messaging and mobile payment and many other social service facilities. And it operating system is ios, Macs, and Android. WeChat Active user is across to 1.5 million monthly users and this is a great achievement according to 2014 active user was just for 15 million monthly active users. It is a cross-platform text messaging and media sharing and instant messaging platform, developer Tencent Holdings Limited and initial in January, 21,2001. It also provides a feature, where a user can create a multiple account personal account and business account. Mostly We Chat User comes from Southeast Asia, Europe, and the US according to Mau consultancy China. And in China 83 % of China population use WeChat and user jump to 93%. According to the top 7 list of social media, Wechat leads with 4th place in the worldwide internet with 1,040 million Active users. It is a chatting a sharing and instant messaging platform and it some features are similar to other cross-platform. It is same useful like other cross-platform. Nowadays Instagram accumulated his network with the active user between 14 to 24, and monthly active user almost reaches to 1000 million. Which is one great achievement in social Media industries? It is a most loveable platform for the teenager and younger, where the user is active with updating their daily activities and sharing and transferring profile and Messages. In Instagram, most are the user share their tour and travel activities and it is also the most lovable platform by the celebrities. Mostly the users are from U.S and India, Where they share their upcoming and ongoing event. And promote their profile with a daily update and engage active user as followers self. Where targeted Audience converts into Followers. You don’t need to target your audience if you are self-promoting your business profile. You have to just accumulate user with your attracting description and with your business profile. Instagram provides a platform to the business marketer to promote their business product and service through ads promotion. According to staista, which is one of the best social Media statistic provider service on July 2018 Instagram touch to 1300 million active users. It was Initial released on October 6, 2010, and developed by Facebook.launched in India and after it launching it rapidly fire in popularity and accumulate online register 10 million active users in only two months. Which is the great Achievement for any social media networking service? Now the Instagram active user is approximately 1000 million. After launching Instagram Near about 8 years ago Instagram active user are more seen from state Andhra Pradesh (India) which touch 1 million active users. Most Instagram users are from the USA and lead the first place with 120 million active users and in India 67 million active users. If your product and services is a related target at the age group of 14 to 28 than Instagram is a great platform to target your Audience and promote your business brand locally or globally. Now According to the active user, Instagram is in 6th position in the social media platform in the top 7 list of social media active user on the worldwide internet. Tencent QQ is also known as QQ one of the highest performing app in China and it is an instant messaging software service, It is known for the variety of feature social media platform. Where it provides a service on social, games, group, and voice chat microblogging. which are similar in some ways to (Reddit and Twitter) and also provide a feature of music, shopping and group chat, and Voice chat. It was launched in February 1999 with cross-platform and developed by Shenzhen Tencent computer system co, Ltd.
And it is available in 7 languages Chinese, English, French, Japanese and Laotian. According to Alexa ranking, it is the worldwide 7th most visited website and active user are approximately 806 million. It provides a platform where user engages with Social networking gaming it is a type of online game. Which is played through social network and mostly user is from Chinese. We chat and QQ even both are same company services but mostly user feel more relevant to we chat. Because we chat is known as for great features and it provides a plenty of features to their user. It leads the 7th place on top 7 list of social media and it active user are approximately 806 million. In this Article, I have mentioned the latest top 7 list of social media with an active user according to Satista July 2018 report, which is one of the best social media statistics provider. Day by day social media platform is growing Network on Digital Market and people are engaging via the social network on their daily routine good morning period till good night. And that brings great opportunity to the business marketer and Affiliate Marketer to promote their product and services on the social media platform. To get going your business on the Digital marketing platform and increase your brand Awareness via social services on publicly. Know days we found business owner use much social media marketing tactics to increase their brand awareness. And many of product and services provider used particular social media platform expert. Who can look after their social media daily performance, how it is working, were their ads appears, Audience needs etc. But how do we know this type of social media platform is good According to your business. and where and how you can know which is the best social media platform to get to start up. In this post, you can find the best social networking service, related to your product or services to promote to increase your brand awareness. Therefore you have to aware about, types of social media while choosing a social media platform for your business promotion. These are the social media platform where you have to select, which social platform is good and profitable according to your business. And you can easily promote your business with targeted Audience locally or globally, according to your product or service. 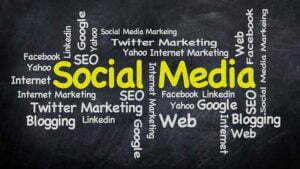 In the Digital world, we find plenty of social media platform, where you can promote your business product or services. Cause know day’s people are more familiar to social media on the internet. And we find plenty of social media platforms, which are providing social services, where people are engaged via sharing multimedia. But know a competitor is growing too fast on the internet, and we find plenty of websites providing social media services. And that is making a huge crisis on the internet, and so, it is not easy to choose, which platform is good and responsive to your business. Here are some lists of social media platform, which are trustable and in huge demand on the internet. But here I am just talking about or mentioning some of useful social media platform, which is in huge demand in people around the internet world. This is a platform which known in between people around the internet world and has plenty of active users. Many users are born and growing younger in facebook generation and teenager, older age are active users. Where they share what’s going on their life and daily update with a new thought. Facebook is one of the most widely used social sharing platforms around the internet world. Where people use this platform to communicate and share their thought, images, video click. And chat via relative, friends, neighbors and unknown friends locally or globally. Which are far away from their reach, but they communicate with each other easily. Facebook provides a business platform, where a businessman can promote their product and services. Increase their visibility and brand Awareness to the target Audience, age, group, language locally or globally. Facebook was founded by a student of Howard University Mark Zuckerberg and his roommate friend Eduardo Saverin, Andrew McCollum, Dustin Moskovitz and Chris Hughes. It’s an online social media platform and social networking platform. And it was launched on February 4, 2004, in America and based in California (United state). And more than 1 billion users are active on face per day via sharing their activities. January 2018 statistics show that first place leads of the Facebook user are from India 270 million and second place is held by the united state (U.S) 210 million active users. Know days business owner or business marketer are avoiding facebook to use for their brand promotion. And searching for other social media platform after leaking a news facebook data scandal. That faces book sell user information and data to the other third party. https//www.bbcnews. It is the second largest used platform, which is known for blogging and publicly user is active with sharing short messages. The active user used this platform to communicate with sharing the short message to targeted user or publicly. It also provides a platform were business marketer use this platform to promote their business profile, product or services. And engage with a user about their need like social media news, Actress interviews and tweets, celebrities activities, technology-related information, upcoming gadgets review and upcoming motor vehicle review etc. Plenty of information, tweets, celebrities’ movement, product, and services information etc are available on Twitter via daily updates. And providing such a platform twitter is one of the lovable social media platforms on the internet world, after Facebook. It also provides a flexibility to register and unregister user, were register user can read and write comments/ tweet. And UN register user can only read, that what is going on Twitter and it also provides a multilingual language to their user. Twitter is a American social networking which provides a platform were user get engaged with doing social networking, news tolerating and microblogging. It was founded by American citizens Jack Dorsey, Noah Glass, Bizz Stone, and Evan Williams. It was founded near about 14 years ago in 21 marches 2006 and officially announced to launch on 15 July 2006 in America. First, it was started with some fix limitation to tweet not more than 140 characters but on 7 November 2017. It welcomes with new updates and doubled it for all languages except China, Japan, and Korean. The latest update of the Twitter user is approximately 68 million to 69 million users. Via more than 336 millions monthly active user on the world-wide internet in the survey report. Quarterly on 2018 after facebook, twitter second largest active user on the internet worldwide. Mostly the United States is leading with 72.3 million active users and holding first place and second place of twitter user are from Japan. Which are approximately 50.9 million active users? India is on 7 positions with 10.1 million users on the worldwide internet. YouTube is video content sharing web-based networking services, were used this platform for uploading and watching videos. Actually, it is a subscription-based channel, where user subscribed channel to updated video related to their interest. To use service of youtube platform, the user needs to sign up and register for a channel. If the user wants to create a channel, the user has to give a channel name and start to upload video content and make it publish or save it as a private video. Youtube has strike rule for copy write content material after 3-time warning. It suspends your channel to 3 to 6 month or suspends for a lifetime. For more info YouTube user guideline. Youtube provides a platform where the user can upload video or watch video via using specific keywords. Here you don’t have to target audience with age, group, gender, locally or globally. Audience automatically engages with your channel, when they search for a specific keyword related to their interest. The best thing it provides a platform of suggested video content related to your keyword in the sidebar. YouTube offers a wider variety of user-generated videos like corporate Industries, social, industries and film industries and News etc. It also provides a user based platform, where the user can create a channel and share, promote a video, videos clips, music videos. Education and technology related video etc. except copyright material. Youtube is an American society was founded by former PayPal employees, Chad Hurrey, Steve Chen and by Javed Karim. According to Alexa ranking, youtube is the second most website based and Mobile app social networking service. This social networking services launched on February 14, 2005, near about 13 years ago. YouTube was bought by Google Inc in 2006for 1.86 billion. Youtube user uploader hold a copyright (Standard youtube license) and also provide a creative commons content. Which is free to used content material and you can share publicly. YouTube Active user are approximately 1.9 billion monthly visitors and daily active user are across to 30 million plus. That is a great achievement for any social media networking field services. 80% users are from outside the U.S and 62% users are male. And 50 million video content creator is on youtube. LinkedIn is a professional web-based and mobile app social networking services sites. It is especially Design for professional communication for B2B, B2C, and carrier job etc .and worked as a freelancer. Its main purpose is to connect via other business Associate, client and colleagues, and engage with other prospective users. It provides a platform where the user can share, click, comment and connect via other users. It has a text limitation where a user can write not more than 13 00 characters. But publishing capabilities don’t have any or no limitation of words. Linked in is a register-based platform, where the user has to sign up first to enter in linked interface dashboard through Gmail or Facebook. It provides a paid services platform via Additional features, where the user can see how many users have seen their profile. And also see their accurate location etc. Linked is generally known as professional social networking sites and provide a website and mobile app-based services. It is American social networking services, which is located in California. This social networking service was founded by PayPal employ Reid Hoffmen, Allen Blue, Konstantin, Guericke Ericly, Jean Luc Vailant. It was founded on December 28, 2002, and was officially launched in may, 5, 2003. Linked earning sources are from allowing company or industries to advertise on linked in site. Linked was acquired by Microsoft in 201 6 for $26 billion dollars. LinkedIn users are across to 200 countries via 500 million member report 2017. The United States holds first place with 128 million user and second place hold by united kingdom via 35 million. And third place held by Brazil across to 25 million registers active user. Pinterest is a web and mobile app based social networking company, which work via software operating system. And developer according to discover or collect information from World Wide Web. And It provides a platform where the user can share and upload with using separate pinboard Images, photos, GIFS video clip, and videos. It is well popular worldwide via sharing Art and craft, fashion, style and e-commerce images. It is one of the fastest growing social networking sites, where users are joining this platform to publish their ideas. And business marketing related information and engages via other visitors on the worldwide internet. It provides a platform, where registered and unregisters user can visit but only register user can upload and share on their pinboard. Pinterest is known as web and mobile app based social networking site and founded by Paul Sciarra, Evan Sharp Ben Silbermann. It was launched in March 2010 and it provides his services to 27 countries. Its interface is too Different from other social media Networking sites on the worldwide internet. Where the user has to pin pictures and upload their own recommendation to their pinboard. Pinterest across to approximately 200 million active user monthly which shows that how Pinterest is growing his popularity on the worldwide internet. 70% female user and 64% active user are in under the age of 34 and day by day it is growing. And that’s why product and service provider are more active with the Pinterest social media platform. United state holds first place with 38.62 %, Brazil holds second place with 7.65 % Active user. And India holds third place with 4.85% Active user, which is great for any social media Networking Services. Instagram is growing his network in worldwide on social media networking. And his performance is mind blowing people are engaging and sharing Instagram to their relative, friends, college mate, roommate etc. Encouraging them to join and share with others and connect via following each other. Upcoming day’s Instagram will be the one the most popular social media platform on social media networking service. Instagram mostly active users are in the age group of 13 to 34 or you can say young generation social media. Where the user is Active via sharing journey/tour and travel information and images, video clip uploading and colleagues events, program etc. And it is mostly loved by celebrities, where they promote their upcoming events, upcoming and ongoing activities. Even Instagram is growing his popularity by providing a platform. Where business marketer /industries and company to promote their product and services. It also provides features, where the user can edit and filter their images and photos and organize via tags and location information. Instagram is web-based and mobile app social networking services which are owned and developed by Facebook. It was created by Kevin systrom, Mike kireger in Burbn and it was launched on October 6, 2010. It was founded in America in 2010 and after it launched for publicly rapidly fire in his popularity. And founded first 1 million registered users in only 2 months and after the end of the year reach across to 10 million Active users. This is a great achievement for any social media networking services. It works with operating system ios, Android, Windows 10 and mobile application. And it is Available in 36 multilingual languages worldwide. After launching Instagram near about 8 years, it is a rapidly growing popularity on the worldwide internet. Know Instagram active user 1 billion on the internet worldwide social networking services. Most Instagram users are from the USA via holding the first place via 89 million active users. And the second place is held by Russia via 28 million active users of Instagram. Snap chat is one the growing network in social networking platform it welcomes with different features. Snap chat provides a platform where user engaged via sharing images, video clips, photos etc. It operates via special principal features, where information, pictures, and images are available for only a short time 24 hours. It provides a platform for a business marketer and industry/company to promote their product and services ads on short form entertainment. Snap chat is one of the best application web-based services which give a new direction for social media networking services. The snap chat was created by the former student at Stanford University Evan Spiegel, Bobby Murphy, and Reggie Brown. And Developed from Snap chat Inc.And known for photo sharing, Instant Messaging, Video chat, and Multimedia. The snap chat was; launched on July 201 1 via its operating system. And publicly publish on all operating system on September 2011 near about 7 years ago. It provides 22 multilingual languages on worldwide internet. Snap chat active user followers are near about 400 million and almost 150 million users are active in snap chat social network. And according to snap chat Inc user open application 18 times during or between 24 hours. Latest reported show the static and video sharing daily active user are from North America withholding first place via 80 million. And second place held by Europe 61 million active users daily. Google + is one of the internet-based communication, this provides a facility to share the post, photo, images, and status etc. It provides a platform to share a post in a different type of relationships into the group or in a circle. Google + first welcome via social networking site then, later on, it started with new features to sign up Google product or services. It was launched in June 2011 with including features ability to post photo and status. And was owned from Google LLC, and required a register-based platform. Google + was created by Vic Gundotra, Bradle, and Horo Witz and was launched on June 28, 2011, and 7 years ago. After Google + launches it reaches 10 million Active users in 2 weeks and in a month reached 25 million. And the end of the year Google + reached to 90 million Active users on the worldwide internet. It provides 37 multilingual languages and Active user are 111 million in 2018. Google + is a worldwide social networking services provider and registered user are approximately 2 billion. This is one of the big Achievement and static in social networking services platform on the worldwide internet. And it monthly registered active user are approximately 345 million. According to age static 28%, an active user on Google + are between 15 to 34 years. And the top 5 list Active user is from USA, India, Brazil, U K, and Canada withholding serial wise. And the top 5 countries based on the estimated number of the user via 2 billion monthly Active user devices. Flicker is a Canada social networking site known for Accessed and upload Image, photo and video hosting services. It provides a principle features to upload, share and embed personal photograph to the online save community. Blogger and websites use this social network to host images and do photo research. Flicker provides a platform were Unregister user can access photo and videos from flicker. But to upload or to use flicker interface user need to sign up and register. Flicker welcome via additional principal features to the registered user and grant the ability to add or comments with other flicker users. And it also provides 3 types of account Free, Ad-free and Double. Flicker is one of the social media services to photography revolution for sharing and hosting. And organize your photo and images to the worldwide community. Flicker is a professional social networking site, this provides a social media hosting service. It was founded by Stewart Butterfield and Caterina Fake and it was launched on February 10, 2004. Flicker was Acquired by Yahoo in 2005 reportedly $25 million. It welcome via 10 multilingual languages, Chinese, English, French, German, Indonesian, Italian, Korean Portuguese, Spanish and Vietnamese. Flickers don’t announce any feature report but according to the Yahoo report, an active user is 90 million monthly bases. And it has 75 million registered Active user photographers according to the 2014 report. Tumbler is an American social networking site and most of the features are similar to Twitter. And provide a platform for short blogging or microblogging and a short message. Probably users are engaged via tumbler via sharing text, images, videos, link quote etc. Or you can say, it is a short blogging platform. It also provides a following and follower platform, were user follow other user related to their interest. And its interfaces are easy to use and each and every time user login to tumbler interface it shows a different background image when the page is loaded. It provides a platform where the user can sell and promote their product and services to other users. Tumbler is one the fastest growing network on the worldwide internet with his different interface features. After twitter people mostly engage with tumbler social networking service in microblogging field. And allow millions of people to share their thought, quotes and images etc .and follow other user related to their interest. The tumbler was founded by David Karp and Marco Arment on February 19, 2007, near about 11 years ago. It is also called as a ‘tumblelog’ System of microblogging and was owned by Oath Inc.
And Known as Microblogging social networking services. It official parent was Yahoo Inc (2013-2017) and Oath Inc (2017-present) time. Marco Arment on of the co-founder of tumbler left company via having a busy schedule via Instapaper. and tumbler was owned by Yahoo on May 20, 2003, for $1billion cash and in June 2017 yahoo and tumbler placed into oath Inc subsidiary. July report 2018 united state hold first place via 33.22% Active user and the second place hold by the United Kingdom via 5.67% Active user. And Brazil holds third place via 4.44% Active user. Research source of information says that probably tumbler Active user is across to 30 to 50 million per day. Reddit is a web and mobile app based social networking sites and it is known for sharing a link to Article and media etc. It provides a register user platform, where the user has to register to share or submit their content on Reddit web page. Reddit is an America social media networking services, which provide a platform rating to the content and discussion based platform. Where user gets the rating to their content and voted up and down with their related members. When they submit and share publicly their content such as link, text post, and images on Reddit. It covered a variety of topic book, music, science, movies news and many other etc. Reddit is an America social networking services, which is known as a social news, media aggregation and social media. It was founded by founded by Steve Huffman and Alexis Ohanian both were roommate and student of the University of Virginia. Reddit provides a platform where the user can contribute to translate in 89 languages via using Crowdin Features. And It also provides a platform where the business marketer can promote their business ads with using banner ads and promoted links. Reddit provides an optional registration, where the unregistered user can watch and read and registered user can submit content, comment, and upvote etc. And was launched on June 23, 2005, near about 13 years ago and was founded by Steve Huffman, Aron Swertz and Alexis Ohanian. And global ranking is 18 in 2018. Reddit is one of the best social media platform that jumps in mind to use and his rising static shows. That it will be the best one of the best popular website on the worldwide internet in upcoming days. According to the latest Reddit Announcement that user increasing day by day. And having a high majority performance on social media networking site. And know active users are across to 330 million. It has approximately 138 k+ active users and an average of screen viewers are approximately 14 billion. Reddit is increasing via 30% in the last six years. Quora provides a platform were user can question and answer for a specific keyword and write a comment and engage with others. It is also a good platform to promote your blog or any type of business product and services. In this social questioning answering platform, the user engages with other with providing a useful information or link to get more information and solution about the related keyword. Day by Day people is being aware of this platform, where people get information with the searching keyword, joining a community and find related information on Quora dashboard. It is one of the greatest platforms were user provide a solution and answer and add more information to go through the link. And that makes Quora user get more visitor to their blog or website and increase their visibility on search engine. It is also the best platform to a blogger where they can find out that, what are people searching for and it brings an idea to target your Audience. Via providing a useful information and providing a best method and idea. Quora is a social networking service which known for great interface were user find popularity and engage via other community members. It provides a social networking service which is known as information exchange website and Based in California, Quora Inc.
And its welcomes via ios and android system on September 29, 2011, and September 5, 2012. It was founded by Facebook former employee Adam Dagelo and Charlie Cheever. And in 2017 Charlie Cheever steeped down as co-operator of the company via taking charge of an advisory role. It provides 8 multilingual languages for their user (English, Spanish, French, German, Italian, Japanese, Hindi, Indonesia, and Portuguese). According to Quora Inc India is holding the first place 40% Active user and the second place held by the US via 20% active user and U.K, Canada, Australia have 2.3%, Active user. Actually, Quora started with the slow process but throughout rapidly fire on social networking sites on the worldwide. Adam D’Angelo announced in March 2016 that Quran reaches 1 million active users monthly. Viber is a cross messaging social media networking platform. It provides a platform for instant messaging, chat, video calling, text message, and multimedia etc. viber is free of cost and free to use It allow the user to connect via wi-fi and 3g network to access this application. And It is an app based platform, where the user has to install this application and it operates via application to application base. The user has to connect via that user who had downloaded this application for instant messaging. Viber is a multinational company Rakuten (Rakuten Inc.)And it was developed by Rakuten and was launch on December 2, 2010. It was created by Talmon Marco and Igor Magazinnik. And the company was modified with changing the name Rakuten to Viber in July 2017 via the new logo. After co-founder Marco, who stepped out and left in 2015 and Djamel Agaoua become a CEO of Viber media. Rakuten Inc paid to purchase Viber for 900 million Dollars. According to Rakuten Inc, Viber active user or application downloader are across 1 billion worldwide. Which is a great static performance for any application based messenger or instant messaging platform? Mostly Viber users are from across the worldwide and 193 countries are using this application base platform according to Viber. And in Russia Active user are 70 million and in Africa 55 million according to 2016 update. Whatsapp is across social media networking services that provide a platform. Where user can send messages, voice call, video calling, image, and share videos. GIF, video clip, and other media document with using WhatsApp application. Whats app application welcomes with the operating system for ios, Android, and run in the mobile and desktop computer. And it provides services for multiple countries according to having a wide range of an active user on the worldwide. Whatsapp was launched in February, 24,2009 near about 9 years ago and it was founded by Jan Kaum and Brian Acton and Both were former employees of Yahoo. And created by WhatsApp Inc. and after launching it was rapidly fired on social media market via the Active user. Whatsapp was acquired by Facebook in February 2014 for $19.3 billion dollars. In January 2018 WhatsApp welcome via new application WhatsApp business. And in September 2018 WhatsApp introduced a new audio and video calling feature for a group. According to the report on February 2018 WhatsApp active user were across 1.5 billion users. Which is great improvement according to 2014, the active user was just 450 million monthly and daily active user were 315 million. We chat is one of the most popular apps and had a great popularity in social media networking services. And it some features are similar to other cross social media platform but it provides multiple features. Some of those features make it popular to China because some of the features billing payment wallet via mobile payment facilities. It is a Chinese multimedia social media app-based services, and it provides a facility to their user to use this app. And its operating system is ios, Macs, and Android. According to Forbes We chat is the most popular and famous all over the worldwide internet. Wechat is one of the popular applications which was rapidly grown up and stand up alone in a worldwide social media platform. The application Wechat was developed by Tencent and it was released in 2011 near about 7 years ago. It is a cross-platform which is known as a messaging text, media sharing and instant messaging. Developed by Tencent Holding limited and Initial release on January 1, 2011. First, it was Known as “Weixin” by Tencent CEO Mahuang and created by Zhang Xiaolong. We chat got full support by China government (12th fifth-year plan) Development of e-Commerce Market in China (2011-2015). We chat is lovable in the worldwide country for it various type of features. And such feature doesn’t provide any cross-platform social media services. And it also provides a Multiple Account features Personal and Business Account. We chat is known and have great popularity according to social media services in the worldwide for providing a various type of features. And now Wechat active user is across to 1billion monthly (Mau) worldwide according to Tencent CEO Pony Ma. Mostly Wechat Active user is from South East Asia, Europe, and the U.S according to Mathew Brennan Wechat consultancy China channel. 83% of China Population Use Wechat and user jumped to 93%. While using social media platform you have to know, how social media platform is beneficial for your product or services. How Social media platform embrace your daily activity on, how to grow your business, improvement in your audience activities and many more. Via using social media platform you can increase your brand awareness via a particular keyword research tool. And target your Audience according to your business product or services. It also benefits your business with targeting audience locally or globally and engages traffic to your product or services. And find out which social media is the best platform to start up for Affiliate marketing or for your brand awareness.